We are big supporters of Little Free Libraries here at Melville House. 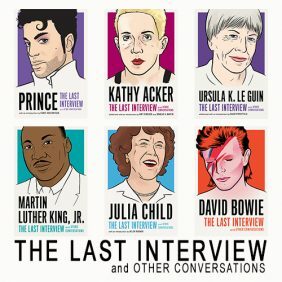 A nonprofit that’s dedicated to book-sharing, building community, and spreading the love of reading? Count us in. There are more than 75,000 little free libraries connecting people to books worldwide, and the organization has also created programs designed to combine reading and community engagement, such as the Action Book Club. A new twist on the traditional book club … Action Book Club™ invites participants to read books on timely topics, engage in lively discussions, and take part in meaningful—and fun—group service projects to benefit their communities. In related exciting news: the Action Book Club has chosen the Melville House novel In Every Moment We Are Still Alive by Tom Malmquist as one of their recommended reading choices for their “Moving Forward” theme. Named one of the New York Times 2018 Notable Books of the Year, it’s a novel of resilience and hope, telling the story a man who must work through the pain and fury of losing his partner while simultaneously taking responsibility for the greatest gift of all, his newborn daughter. The Action Book Club works like a traditional book club—sign up, read the book, discuss with your group. But there’s one extra step encouraged: carry out service projects together. One club in Boston collected hats and mittens for a children’s organization, a group of teachers and high-schoolers in Mooresville, NC, created blankets for newborns in need. As groups share their service projects online, it creates a ripple effect of positive action. Established in 2017, the Action Book Club has grown to include more than 1000 registered groups in 24 different countries. In a recent article in the New York Times, reporters Natalie Proulx and Katherine Schulten recommend the club as a way to foster responsibility and self-care in oneself. The current theme runs from January 29 through July 30. To celebrate, the club is hosting a giveaway for those sign up. Possible prizes include book packages of Action Book Club recommended titles, as well as one grand prize: a Little Free Library book-sharing box. Good acts inspired by good books. What more do you need? 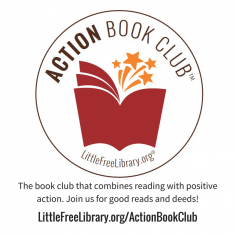 To sign up for the Action Book Club, visit their website.